Last month, one of our devoted thralls loyal readers was bemoaning the fact that we haven’t used the “Non-Metal Metal Things” tag in a while. Well, here you go, courtesy of dark Icelandic rockers (and Madam X favorites) Kontinuum. Why is the Huckster reviewing this album instead of Madam X? Well, let’s just say that until such time as the world stops producing subpar, unmemorable dreck, our Madam will be turning her nose up at any and all promos that cross her desk. But while Kontinuum’s gloomy output hasn’t wowed our fearless matriarch to the point of appearing on a “Least-Worst” list, they have been consistently Very Good. Will that trend continue with No Need to Reason, the band’s third album? If you enjoyed their first two albums, the answer is a resounding Yes. 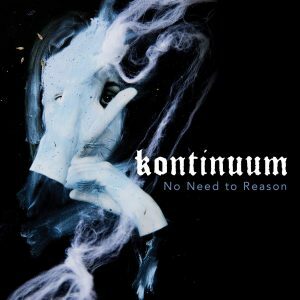 Kontinuum’s atmospheric approach to all things gloomy and morose continues unabated on No Need to Reason, with their take on gothic and darkwave fully intact. The album is all about atmosphere, easily invoking images of the famous black-sand beaches of Reynisfjara – serene, beautiful, brooding, and at times menacing. The moodier numbers on No Need to Reason wear the band’s Katatonia influence proudly, while the more up-tempo songs harken back to neo-psych/darkwave acts such as The Teardrop Explodes and The Cure, all the while transforming these influences into a unique sound. “Shivers” opens with uneasy, echoing guitar, before launching into one of the album’s more upbeat songs. As with all the material, singer Birgir Thorgeirsson brings a magnetic, Jonas Renske-like charisma to the song. The feel of “Shivers” is ice-cool and somewhat dated, much like the other two faster songs, “Warm Blood” and “Erotica.” These songs aren’t exactly in the band’s wheelhouse: while they are well-played and sound great, the pace just doesn’t fit with the sound, especially when looking at the other seven songs here, all of which are some combination of slow, moody, morose, threatening, or mesmerizing – and all of which keep me coming back for closer listens. “Lifelust” and “Neuron” are excellent examples of this. The former is an airy, whimsical cut, drenched in reverb and echoes, while the latter is the first example on No Need to Reason of Kontinuum’s ability to make us stop what we’re doing and just listen. “Neuron” feels like it’s on the verge of exploding throughout, but never does, keeping us in suspense until its subdued end. Great songs, but where this record really shines is on the back half. The closing trio of “Stargaze,” “Two Moons,” and “Black Feathers” are as strong as any other closers on any album I’ve heard all year. 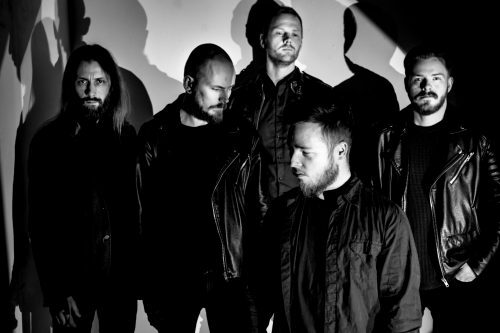 Unlike “Neuron,” “Stargaze” actually does explode, Thorgeirsson’s voice taking on harsh overtones that match the driving riffs as the pressure boils over midway through. Trve heaviness is knowing you can bring it, but not always doing so. Kontinuum have that mastered. “Two Moons” is simply one of the most gorgeous songs of the year, and finale “Black Feathers” is as menacing a song as there is. If it weren’t for the three up-tempo songs I mentioned earlier, No Need to Reason would be sitting comfortably in the upper echelons of my “Best-of” list. But those songs just don’t sit right with me, as if the band is forcing itself to vary the pace, when in fact they are so strong when they let the mood of the music immerse us in pensive suspense. However you slice it, No Need to Reason is a great-sounding record with some of my favorite songs so far this year — as good as past efforts to be sure, and well worth checking out.